Hungarian-born Lucien Aigner was one of the most respected photojournalism pioneers of the 1920s and 1930s, capturing iconic images of the leading political and celebrity figures of the day. Due to World War II and life circumstances, however, his 50,000 historical images of the likes of Mohandas Gandhi, Adolf Hitler, Winston Churchill, Benito Mussolini, and Ethiopian Emperor Haile Selassie were stored away and largely forgotten for decades. 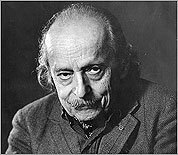 About 20 years before his death in 1999 at age 97, Aigner staged a few exhibitions of his work, and began organizing his collection of photographs and the stories he wrote behind each one. Now his daughters, Anne-Marie Aigner of Watertown and Katherine Aigner Collins of Boston, are continuing that endeavor so he might gain his rightful place in history. On Saturday, “Lucien Aigner: Photo/Story’’ will open at the deCordova Sculpture Park and Museum on Sandy Pond Road in Lincoln. Running through April 24, the exhibition will feature 74 images, most of which are considered unknown. It is the first major museum show of Aigner’s work since the 1980s. The photographs will be paired with his written commentary, as he had always intended. Nick Capasso, the deCordova’s deputy director for curatorial affairs, said “Photo/Story’’ reaffirms the museum’s commitment to photography and the work of New England artists. Aigner’s work has been brought together by guest curator Jennifer Uhrhane, an independent art consultant who formerly worked at the deCordova. She will discuss the exhibition in a session at the museum on Feb. 26 at 3 p.m.
Uhrhane said she set out to show the full range of Aigner’s photo stories, rather than the small percentage of his life’s work that has been repeatedly shown in the form of individual images. Brian Wallis, chief curator at the International Center of Photography in New York City, said he is pleased that Aigner’s work is drawing attention. The ICP hosted a major show of Aigner’s photographs, “Glimpses of History,’’ in 1979. The same year, Aigner’s close friend and fellow photographer, ICP founder Cornell Capa, published the first monograph of Aigner’s work. Born in 1901, Aigner had a passion for photography that began after he received his first camera as a boy. He earned a law degree in Vienna, but became a reporter for a Hungarian newspaper in 1924. The following year, he began submitting photographs to accompany his articles. He was an early advocate of the 35mm Leica camera, which helped him take candid photographs of important news events. Noting that their father was 5-foot-1, Anne-Marie Aigner said he “used a pocket-sized camera so he could scoot around and snap photos no one else could get, with their glass-plate film cameras set on tripods.’’ Because Aigner’s subjects were often unaware of the smaller camera, the gestures and expressions he captured were distinct alternatives to staged portraits. Aigner moved to Paris in 1926, and the following year cofounded a press agency through which he continued contributing to major European and American magazines, including Life, VU, Munchner Illustrierte Presse, and London’s Picture Post. His ability to be both a reporter and photographer distinguished him from contemporary photojournalists such as Robert Capa, Henri Cartier-Bresson, Alfred Eisenstaedt, Erich Salomon, and Andre Kertesz. In 1939, the same year his image of Mussolini ran on the cover of Newsweek, Aigner and his wife and child fled Nazi occupation in Paris to New York City. After his arrival, he contacted Sara Delano Roosevelt, whom he had met while covering a story in Europe. “Some called her a snob, others an autocrat. To me, Sara Delano Roosevelt was like a fairy godmother,’’ Aigner wrote of the assistance that the president’s mother provided toward obtaining visas so his extended family could follow his path to safety. Among the possessions Aigner had been forced to abandon was a suitcase containing all his negatives. When his sister fled Paris, she hid the suitcase in a bathtub, which she hoped would protect it from bombing. Their brother, handbag and shoe designer Etienne Aigner, later retrieved the suitcase from the building’s concierge, who had hidden it when the Germans moved in, and returned it to Lucien Aigner after reaching the United States in 1950. After freelancing as a reporter and photographer for the New York Times, Newsweek, Christian Science Monitor, and other American publications, Aigner divorced and moved to Great Barrington, where he opened a portrait studio, in the 1950s. Anne-Marie Aigner, who was 5 years old when her parents parted, moved with her mother and sister to Florida, but continued to visit her father each summer. They remained close, even after her father — whom she describes as a “very gentle, creative soul’’ — remarried. Asked for negatives with which to test photo paper in the 1970s, Aigner rediscovered the suitcase that he had stored away in his dark room. He spent the remainder of his life organizing, printing, and cataloging his photograph collection, which was moved into a storage warehouse in Allston. He spent the last year of his life in an assisted-living facility in Waltham. “Every photo we discovered was a surprise, a jewel, because we didn’t know about that part of him,’’ said Anne-Marie Aigner, who shares ownership of the collection with sister Katherine and their brothers, John of New York and Steven of Florida. “Our father was a fascinating storyteller. There’s a photo of Marlene Dietrich eating lunch, but what you can’t see is her daughter, who is under the table playing games and pulling on her skirt because she’s bored,’’ Anne-Marie said. While Aigner documented a number of public figures, major political events, and everyday people, “Photos/Stories’’ focuses on Parisian life in the years leading up to World War II, and the newly constructed Rikers Island prison in New York City. Anne-Marie Aigner said she is “pleased and grateful’’ for the care and attention that the deCordova devoted to the exhibition, which is partly funded by grants from the Lois and Richard England Family Foundation and the Land Fund. “The deCordova is local and welcoming, and they understand the value of his work,’’ she said, noting that Aigner’s legendary suitcase will be on display as well. 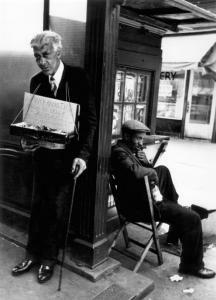 For more information on “Lucien Aigner: Photo/Story,’’ call the deCordova at 781-259-8355 or go to www.decordova.org. The website also features a documentary film, “Lucien Aigner: A Life with the Camera.’’ Cindy Cantrell can be reached at cantrell@globe.com.